For nearly a month, I and others representing the Progressive Labour Party, have been pounding the pavement in Sandys South, sharing our vision and explaining how we must begin to get Bermuda headed in the right direction. As the PLP’s candidate for Constituency 33, I am fighting for three simple things; investment in Bermudians, standing up for our seniors and protection of Bermudian jobs. I believe in these things because growing up in Sandys I was fortunate to have a family that was willing and able to invest in my education and development, yet I understand that not everyone has the same opportunities. I believe that we have an obligation to invest in every Bermudian that has the will, but may not have the means to educate themselves. I believe in standing up for seniors because my mother, in her role with Age Concern, often spoke of some seniors who had been virtually abandoned by their families, with few visitors and no one from their families seeming to care whether they lived or died. I believe in protecting Bermudian jobs because I have witnessed too many of my generation, forced to train non-Bermudians to be their boss, denied opportunities because they were “overqualified,” and mistreated by non-Bermudian managers desperate to stay in Bermuda and who felt threatened and inadequate in the face of their youth and superior education. It is these experiences that have shaped my philosophy and my commitment to our people. We are tired of seeing capable, qualified Bermudians being told that they are “lazy” or “xenophobic”. We are tired of seeing young Bermudians being forced to drop out of college because their scholarships have been cut. We are tired of seeing our seniors squeezed for every penny they’ve got and being forced to choose between eating and buying medication. We are tired of seeing Bermuda being rapidly transformed into a place where everyone benefits but US. The PLP has put forth a number of initiatives that will place Bermudians as priorities in Bermuda. I am a Bermudian. I am proud of our people and our history of strength, adaptability and our capacity for innovation. To the hundreds of persons we have met along the way over the last month, we thank you for allowing us into your homes, sharing your stories and giving us your confidence. On November 18th let us send each other a message, that we believe that Bermudians must come first in Bermuda . We simply must look out for and empower other Bermudians. To my former West End school mates , Sunday school friends, family, and wider Sandys community, I thank you for your vote of confidence in your fellow Bermudian. I have no confidence in you Jamahl. You have alterior motives. You’ll forget everybody once you win and move back down east! Agree. Jahmahl, you have not been pounding the pavement . I have not seen a PLP representative in my neighbourhood since I have lived here, almost 40 years. The road is almost a mile long.. Go figure. Since you really live in st. George’s you probably have no idea which road I am talking about. Oh, and yes, I do live in #33. In all of my life living in Somerset I have never had a PLP candidate come to my house. Not sure why…I’m white and middle aged, maybe I don’t fit the PLP profile (just sayin). Last night the tides changed and Kim Swan and Sherry Simmons came to see me. I was very happy to welcome them into my home and listen to them and express my views of what I’d like to see changed. While I have tried never to vote party line, but rather vote based on who can best affect change in the community, I wanted to give them an opportunity to speak to me. The one resounding point that Kim and I agree on is that we need to get to a point where we become one Bermuda. But I made it very clear that as of late, the rhetoric coming out of his camp (and out of the OBA) was hurting all Bermudians reaching that goal of becoming one Bermuda. The hateful language does nothing more than keep us separated. 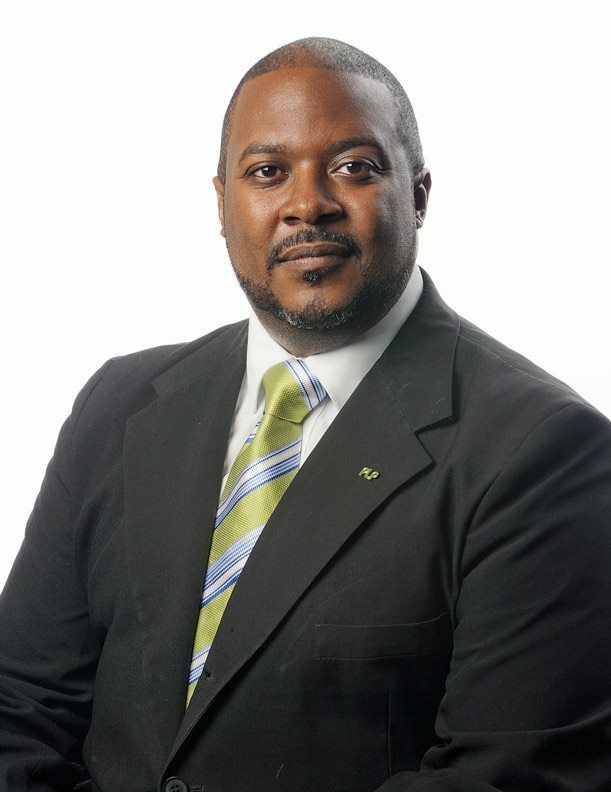 I like Kim very much and understand why he left the UBP, and I believe that he could do a lot to help bridge the gap between the PLP and OBA and help diminish the separation between black and white Bermudians…unfortunately I don’t believe the majority of his party want to bridge that gap. Politics are a dirty game…and in the end, we white and black Bermudians who should be standing together continue to look at each other from opposite sides. I that is something I can not and never will support. Same old substanceless economics from the Book of Burt. Jamahl lists 2 spending items without saying where he would cut or acknowledging why there is no money (hint: the PLP spent it away without any regard to balancing the budget) and says he would “diversify the economy” without a hint at what that possibly could be. Fishing and farming again? That’s getting more tired every time Burt trots it out in his the Reply to the Budget. I would like more scholarships, lower taxes for seniors and a more diversified economy as well. Now, the big question is…what will you do to make this happen? Enough with the broad overtures, I need to hear details. Jamahl – how many people have you employed personally and what job opportunities do you have first hand experience in creating, other then for yourself? How do you propose investing in our people if the PLP have already spent all of the taxpayers’ money? You don’t have any answers. You don’t have any real world experience. You don’t have any personal success stories. You don’t deserve the voter’s attention in constituency 33. I agree, his biggest weapon, is that he is a sweet talker. I will feel sorry for the people in constituency #33 if he wins. This is just a collection of the same tired old clichés the opposition has been throwing in people’s faces ever since they lost the election. Nobody’s fooled. Their mismanagement and foolish spending sprees put thousands of people into financial danger and hardship. Judging by his record, Mr Simmons is just a young man – a very young man, no matter how many years he’s lived – trying in any way he can to climb onto the political gravy train. I can’t think serious people would vote for him. Of course serious folks wouldn’t vote for him. No sane person would believe such a line of bull. If he does get voted in it will say a lot about people up de country. Must be the water up there. And as soon as he is in, he’ll be back darn St George. You can bet you last dollar on that one. So you are going to cut taxes, and increase scholarships…I guess you are borrowing that money? I quess since Bob borrowed the money it’s OK. The OBA has no option but to borrow money due to the legacy of the PLP. The PLP created a fixed expense base. You can’t suddenly cut $300m (30% of total) out of expenses, and you can’t suddenly raise $300m (33% of total) in revenue. What is sad is that Bermudians are the ones suffering from the legacy of the Standing Strong for Bermudians Party. More has been done in less than 2 years than we’ve seen in the last 10 years. The simple proof is in the results. Has it crossed anyone mind that he has not even suggested how he is going to get people back to work ? He mentions diversifying the economy ? how ? who ? The PLP after 14 years and now they have figured it out ? NO WAY. His statements are consistant with their 2012 campaign, we will spend more money to give you these things, but where is the money coming from ? borrow more money ? come on people THINK !!! we all know this is a PLP strong seat, but should you vote for whoever runs there just because ?? This is what the PLP has done , put an insensitve, unproven candidate Mr Simmons there knowing you will vote for whoever they give you. There will never again be a super majority in the House of Assembly – you can thank the PLP for that. Win or lose it’s going be tight. Substance will have to be paramount on that hill or you are gone. How is it working out with him living in the constituency? Does he go back home to the other end of the island once in a while? There is much interest in how Jamahl Simmons proposes to fulfill his vision. That tells me one thing- that you don’t have any idea of how the OBA intends to do it either. His position in the Opposition will not allow him to make legislation but to be vocal on his issues. That he is very capable of doing. Just as you bloggers do. I ain’t sayin nuffin….this is a C33 matter. Now that’s a rallying cry from the PLP. 1 and 3 are simply giving money away. Easy to do when there is money. But, your party spent it. As to 2. What? Seamining and internet gambling again? Please. You PLP jokers are all about buzz words and no action. You proved it over 14 years. You care about Jamahl Simmons, full stop. There are scholarships, more of them, just smaller sized, so more folks get the opportunity. The $$ total is reduced yes, but with greater reach now. Unfair taxes, some would argue that all taxes are unfair. What Senior specific taxes is he referring to? Jamahl , the people of #33 will never vote in the OBA candidate . Stay focus and work hard for the people … You have my blessings ! I trust that the voters of constituency 33 will not be duped into blindly voting party especially in a by-election for a man who has been in every political party and the PLP twice!!! It would be better to give the OBA a chance over the next 3 years because even if JS gets in what can he do for you?? He will only collect a paycheck and head back east…hopefully political maturity will prevail for the sake of Bermuda. Here’s a NEWS FLASH for you Jamahl….Bermudians don’t train foreigners to be their boss….that’s something y’all made up to scare and influence your flock!! Furthermore…”capable and qualified” Bermudians are NOT being told they are lazy and xenophobic…the LAZY and XENOPHOBIC Bermudians are being told that they are LAZY and XENOPHOBIC!!!! It’s about time the truth were told!….Pity y’all didn’t figure that out for yourselves…your world might be a better place! …everyone is benefitting but US…who is the “US” you are referring to? You reap what you sow Jamahl…those that strive for what they want usually get it….those that sit back and piss and moan about what everyone else has get just what they deserve as well. There is no such thing as a “free ride”…you want something? Then get off your a** and do something about it! As a former school teacher would scream if a student had written a wordy essay that said nothing at all, but tried to look that it did…WAFFLE! Big & fluffy. With no real substance at all. He has trotted out all of the usual PLP catch phrases in the hopes of satisfying the believers. There is no substance to it, but it sure sounds good to the easily fooled. Do people the likes of Jamahl and Vic Ball really think they can be taken serious. They go to sleep actually believing they support one party and wake up ready to join another. No loyalty whatsoever and not to be trusted. Why is the PLP recycling this dried up flip flopper?!? … Is this the best they got? Oh wait…. they did get us in this mess…. never mind. Keep Calm and Carry On – The PLP aint to blame. LOL… clowns…. Jamal Simmons uses his language to make people think he is smart. If Somerset people vote for him they will not see him. His goal is political power. Nothing to offer and no credibility. Can you see a big investment firm sitting around a table with him and Mark brokering a deal? Never going to happen. The OBA and it’s herd mentality political supporters told the big lie about the money the former PLP government spent for infrastructure development; now this government is doing the same thing and the money it is spending in just two years of it’s governance far exceeds anything that the former PLP government did. One of it’s policies which was contained in the throne speech talks about putting the legislation for reverse mortgages; no wonder this is being push; because this government has already engaged in a sort of reverse mortgage and that mortgage has been taken out on Bermuda’s national airport. If you consider that the airport and it’s landing field was built by the Americans and turn over to Bermuda free and clear; we are now going to allow the Canadians built a new one and it is claim that Bermuda will not have to spend a dine? Well what does that mean; will the Canadians have control of Bermuda’s one and only airport for an undetermined length of time; We the people don’t know? The OBA government has not told us about the fine details. If we the people of Bermuda don’t end up paying for this new airport; I have a hill of beans to sell you’. The OBA government has mortgage our previously free and clear national airport whose liability will be place on the shoulders of generations of Bermudians who are yet to be born. This is a OBA government debt whose ramifications is yet to be felt on the verdict by international credit rantings on Bermuda’s credit worthiness. As stated this is OBA government debt and I wonder what lie will be told by it and it’s political supporters to cover this fact up? It’s very well documented Alvin. It’s call “structural deficit”. Out spending your revenue by borrowing to build capital projects. It was a bad strategy, a gamble or uninformed poor decision making. ….but not a fabrication of the OBA.